Prime Minister's Questions was an unexpectedly spicy clash - this lunchtime offered a rare glimpse of the knockabout PMQs many miss. And by rights this budget special should have teed-up the Leader of the Opposition perfectly in order to rip apart the government's plans. Monday's budget was the first to be given on the first day of the working week since 1962 (the Chancellor's statement is usually made on a Wednesday). In parliamentary terms, this quirk of timing could have posed a headache for the Prime Minister - there was scope for the post-budget analysis to be digested and for Labour to form detailed attack lines before the weekly leaders' exchange. Jeremy Corbyn did try to open cleverly - he quoted IFS research at Theresa May without initially telling her where it is from. It was an attempt to wrong-foot her from the off. But it was Mr Corbyn who would trip up. 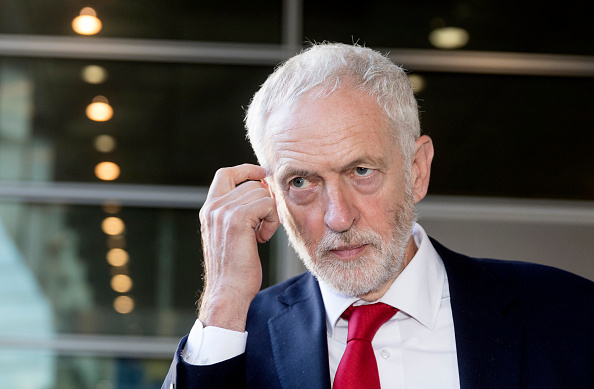 What could well have been a lap of honour for the Labour leader turned into more than a minor blunder - in fact, a really quite a terminal error - when he walked into a trap of his own making. Mr Corbyn asked: "Can the Prime Minister explain why she chose not to end the benefit freeze for ten million households but instead brought forward a tax cut for higher earners?" 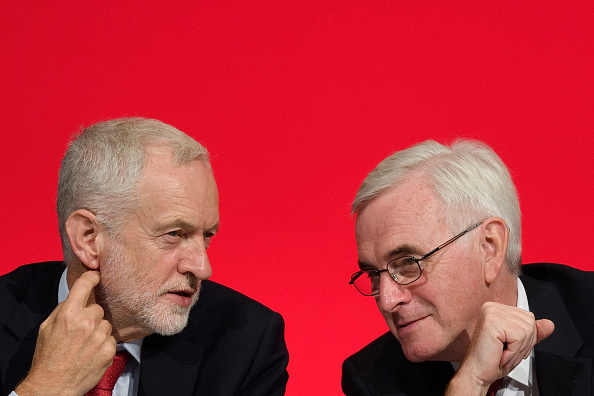 Mr Corbyn's own Shadow Chancellor, John McDonnell, had spent the last 24 hours supporting those cuts. The PM pounced: "On Monday, he [Mr Corbyn] said that cutting taxes for 32 million people was 'frittering money away on ideological tax cuts'. Yesterday the Shadow Chancellor said Labour would support the tax cuts. On Monday [Mr Corbyn] talked about tax cuts for the rich. Yesterday [Mr McDonnell] said the tax cuts were for middle earners, headteachers and people like that." That was an extremely awkward moment for the Labour frontbench. The crucible of PMQs is cruel, and this misstep essentially sunk Mr Corbyn's chance of torpedoing the budget across the despatch boxes. During PMQs Mr McDonnell was across London addressing City executives. Perhaps he'll cringe when he sees the clip. Or will the ambitious Shadow Chancellor grin? Mr Corbyn offered this riposte: "The Prime Minister once claimed to be concerned about burning injustices - well that concern has fizzled out well hasn't it?" The Labour leader was referencing the speech the PM gave in Downing Street when she took up office. An angered Theresa May intoned: "Was it Labour that introduced the Modern Slavery Act? No it was not. Was it Labour that made sure that people in mental health crisis were not being taken to police cells as a place of safety? No, it was me. Was it the Labour Party that introduced the race disparity audit? No it was me and this government." The Prime Minister's pulse was definitely quickened and her intention to passionately defend her record - a passion not shared by some of her own colleagues - was clear. After the main exchanges, it's fair to say the tempo in the chamber dropped. WATCH: Peter Bone calls Philip Hammond the "king of Brexit"
Teasing Tory Peter Bone suggested the PM and her Chancellor could be crowned the "king and queen of Brexit". It seems fair to wonder whether Mr Hammond could imagine anything worse. She joked: "They made a breakfast sauce called the full English Brexit which I think will be appreciated by many of my colleagues, although it's a little too hot for me." The Prime Minister suggested that the condiment might be enjoyed by her pro-Brexit colleague Peter Bone MP. She said he "might well like the hot English Brexit sauce on his breakfast sausages". The Prime Minister and Mr Corbyn's clashes were certainly hotter than the jokes. Sadly, this bout's spicy flavour did not linger for long.